The corrosion inhibition action of sulphadoxine and pyrimethamine, which is being sold under the trade name “Antimal” as a single antimalarial drug was used as low cost and eco-friendly inhibitor for acid corrosion of mild steel monitored by means of an electrochemical technique at room temperature (30oC). It was found that the polarization resistance of the inhibitor was directly proportional to the concentration of the inhibitor –making the metal more resistant to corrosion at higher inhibitor concentrations. Also, the inhibition efficiency was found to increase with rise in concentration of the inhibitor. The experimental data were found to fit better for Temkin isotherm which illustrates multilayer chemisorption. However, significant correlation (R2 = 0.76) was found for Frumkin isotherm indicating possible amphiphilic interactions from alkyl substituents on the inhibitor molecules. I. A. Akpan and N. O. Offiong, "Effect of ethanolamine and ethylamine on the entropy content of the corrosion of mild steel in 1M tetraoxosulphate (VI) acid solution," Chemistry and Materials Research, vol. 2, pp. 40-47, 2012. B. M. Mistry, N. S. Patel, and S. Jauhari, "Heterocyclic organic derivative as corrosion inhibitor for mild steel in 1N HCl," Archives of Applied Science Research, vol. 3, pp. 300-308, 2011. P. S. Desai and S. M. Kapopara, "Inhibiting effect of anisidines on corrosion of aluminium in hydrochloric acid," Indian Journal of Chemical Technology, vol. 16, pp. 486-491, 2009. A. A. Khadom, A. S. Yaro, A. S. AlTaie, and A. A. H. Kadum, "Electrochemical, activations and adsorption studies for the corrosion inhibition of low carbon steel in acidic media," Portugaliae Electrochimica Acta, vol. 27, pp. 699-712, 2009. Q. B. Zhang and Y. X. Hua, "Corrosion inhibition of mild steel by alkylimidazolium ionic liquids in hydrochloric acid," Electrochimica Acta, vol. 54, pp. 1881-1887, 2009. I. 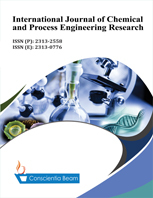 A. Akpan, A. S. Ekop, and M. I. Udoh, "The kinetic study of corrosion of galvanised steel in tetraoxosulphate (VI) acid solution and its inhibition by bile salt," Materials Science An Indian Journal, vol. 4, pp. 145-149, 2008. I. B. Obot, N. O. Obi-Egbedi, and S. A. Umoren, "Antifungal drugs as corrosion inhibitors for aluminium in 0.1M HCl," Corrosion Science, vol. 51, pp. 1868-1875, 2009. M. M. El-Naggar, "Corrosion inhibition of mild steel in acidic medium by some sulfa drugs compounds," Corrosion Science, vol. 47, pp. 2226-2236, 2007. M. Abdallah, "Antibacterial drugs as corrosion inhibitors for corrosion of aluminium in hydrochloric solution," Corrosion Science, vol. 46, pp. 1981-1996, 2004. A. S. Fouda, H. A. Mostafa, and H. M. El-Abbasy, "Antibacterial drugs as inhibitors for the corrosion of stainless steel type 304 in HCl solution," Journal of Applied Electrochemistry, vol. 40, pp. 163-173, 2010. A. Kumar, "Corrosion inhibition of mild steel in hydrochloric acid by sodium lauryl sulfate (SLS)," E-Journal of Chemistry, vol. 5, pp. 275-280, 2008. H. Ashassi-Sorkhabi and D. Seifzadeh, "The inhibition of steel corrosion in hydrochloric acid solution by juice of prunus cerasus," International Journal of Electrochemical Science, vol. 1, pp. 92-98, 2006. B. E. Wilde and E. Williams, "The use of current/voltage curves for the study of localized corrosion and passivity breakdown on stainless steels in chloride media," Electrochimica Acta, vol. 16, pp. 1971-1985, 1971. G. Achary, H. P. Sachin, Y. Arthoba Naik, and T. V. Venkatesha, "The corrosion inhibition of mild steel by 3-formyl-8-hydroxy quinoline in hydrochloric acid medium," Materials Chemistry and Physics, vol. 107, pp. 44-50, 2008. A. O. James, N. C. Oforka, and O. K. Abiola, "Inhibition of acid corrosion of mild steel by pyridoxal and pyridoxol hydrochlorides," International Journal of Electrochemical Science, vol. 2, pp. 278-284, 2007. H. Gerengi and H. I. Sahin, "Schinopsis lorentzii extracts as green corrosion inhibitor for low carbon steel in 1 M HCl solution," Industrial & Engineering Chemistry Research, vol. 51, pp. 780-787, 2012. M. Abdallah, H.E., M. A. Radwan, and E. Abdfattah, "Polyethylene glycol compounds as corrosion inhibitors for aluminium in 0.5M hydrochloric acid solutions," Journal of American Science, vol. 8, pp. 49-55, 2012. J. T. Nwabanne and V. N. Okafor, "Inhibition of the corrosion of mild steel in acidic medium by Vernonia amygdalina: Adsorption and thermodynamics study," Journal of Emerging Trends in Engineering and Applied Sciences, vol. 2, pp. 619-625, 2011. M. Stern and A. L. Geary, "Electrochemical polarization I. A theoretical analysis of the shape of polarization curves," Journal of The Electrochemical Society, vol. 104, pp. 56-63, 1957. M. Stern, "A method for determining corrosion rates from linear polarization data," Corrosion, vol. 14, pp. 60-64, 1958. M. R. Singh, K. Bhrara, and G. Singh, "The inhibitory effect of diethanolamine on corrosion of mild steel in 0.5M sulphuric acidic medium," Portugaliae Electrochimica Acta, vol. 26, pp. 479-492, 2008. A. K. Maayta, M. M. Fares, and A. F. Al-Shawabkeh, "Influence of linear alkyl benzene sulphonate on corrosion of iron in presence of magnetic field: Kinetic and thermodynamic parameters," International Journal of Corrosion, 2010. K. C. Emregul and O. Atakol, "Corrosion inhibition of mild steel with Schiff base compounds in 1M HCl," Materials Chemistry and Physics, vol. 82, pp. 188-193, 2003. S. A. Abd El-Maksoud, "The effect of organic compounds on the electrochemical behaviour of steel in acidic media. A review," International Journal of Electrochemical Science, vol. 3, pp. 528-555, 2008. J. S. Facci, "Modification of platinum electrode surfaces with adsorbed (Ferrocenylmethyl) dimethyloctadecylammonium hexafluorophosphate," Langmuir, vol. 3, pp. 525-530, 1987. S. Chitra, K. Parameswari, C. Sivakami, and A. Selvaraji, "Sulpha Schiff bases as corrosion inhibitors for mild steel in 1M sulphuric acid," Chemical Engineering Research Bulletin, vol. 14, pp. 1-6, 2010.